AleaSoft, March 26, 2019. The interest that long-term PPA contracts with renewable plants raised has been due, according to AleaSoft, to the coincidence of the fall in the costs of photovoltaic technology to levels that make it profitable to market, with the renewable revolution posed by the environmental objectives to reduce CO2 and other GHG emissions. Much has been written about PPAs in recent months. And no wonder, a couple of years ago, virtually no one in Europe had heard of them. Although PPAs have always existed, since they are just bilateral contracts for energy purchase used to reduce future risk of fluctuations of the volatile market price, their use as a tool, to make possible the bank financing of a new renewable energy project on the one hand and for a buyer to obtain a green certification of their electricity supply on the other, is very recent. 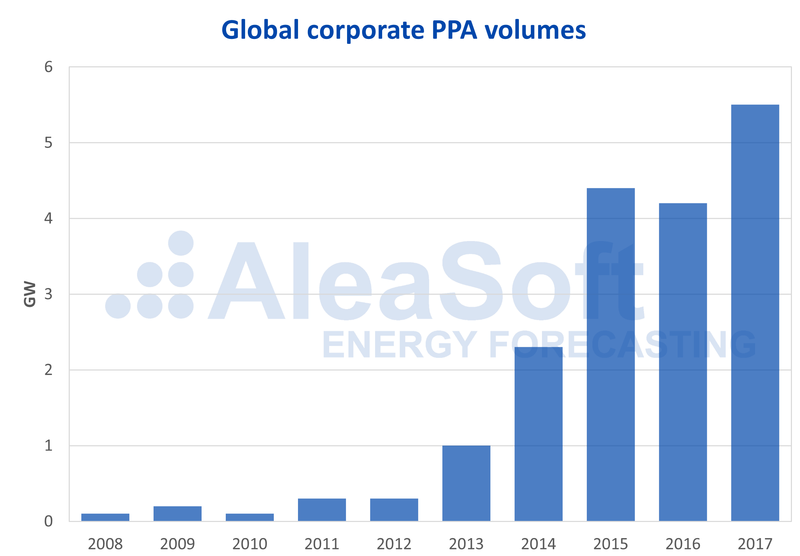 Proof of this growing interest in PPAs are the long-term price forecasts made by AleaSoft, forecasts that both the buyer and the seller in a PPA need. In recent times the consultancy has experienced a clear increase in the number of requests for these forecasts. Before 2018, those interested in this type of forecast used to be large consumers who wanted to carry out strategic planning of their electricity consumption at the long term. As of 2018, the demand for these forecasts increased for all European markets, and new agents appeared. 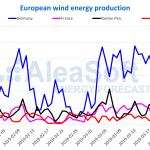 Currently, among the requestors of long-term price forecasts are developers of wind and photovoltaic farms, banks and investment funds that need the forecasts to have a reference price that allows them to determine the feasibility of financing a new renewable project, either by operating directly to the market or through the negotiation of a PPA. And also, consumers, increasingly smaller, looking for an attractive and stable price for their energy costs and a green certification of their production that allows them a competitive advantage. The increase in PPA contracts with renewable energy parks is directly related to the decrease in the production cost of photovoltaic technology. Right now, it is already profitable to operate a photovoltaic plant going directly to the market, without incentives or aids. But, to build a park, an initial investment is still necessary, and this requires funding. To obtain financing, it is necessary to ensure a medium and long-term income rate until the installation can be amortized. The prices volatility in the electricity markets means that income forecasting for a photovoltaic installation entails a high risk that banks and investment funds need to cover, and a PPA is an option to minimize the risk. Renewable power auctions only guarantee a floor in the remuneration price of the parks, but do not guarantee a fixed income. So a PPA is a complementary solution for developers of renewable parks, since it guarantees the sale of part or the entire of its production at a pre-established price for the next ten or twenty years, and therefore, an insured, predictable income and with a much lower risk than direct market retribution. And what does the energy buyer earn with such a long-term contract? The energy buyer, known as the offtaker, gets a part of their energy costs pre-established and insured for the duration of the contract. This allows for more efficient long-term cost planning. The other very interesting benefit, if the PPA is physical or includes certificates of guarantee of origin, is the certification of green, clean and renewable energy that the energy supply of the offtaker receives, which allows it to carry out corporate social responsibility objectives, and label and advertise their products as “green”. An example of the advantages of PPAs for the buyers is the clear commitment made by large corporations such as Google, Apple, Facebook and Amazon, the well-known GAFA, to sign PPAs with large wind and photovoltaic parks. Increasingly, end consumers value and demand the “clean” origin of the products they consume, and there will come a time when this labelling will be essential to be able to offer a competitive product. In an electricity market such as the Iberian market MIBEL, which has an extensive, mature and robust electrical system, an interesting form of PPA is a financial PPA, that is, a contract in which it is not established how the delivery of energy will be made, but it only establishes an economic compensation of a contract for difference between the wholesale price of the pool and the agreed purchase price. With this type of contract, both buyer and seller must procure the sale and purchase of energy in the spot market, either directly, through a representative or through a retailer, and then the economic compensation between the parties is made. If the market price exceeds the contractually agreed price, the generator compensates the consumer with the difference. On the other hand, if the price of electricity falls below the contractual limit, the consumer is responsible for compensating the balance. The price in a PPA does not have to be a fixed price either. The price of the contract can be indexed to the pool price with an offset, a cap and/or a floor. In this way, the price of the sale can fluctuate with a maximum and/or minimum. Currently, the prices that are being signed in the PPAs, that have been known, are clearly below the prices of the futures markets and the forecasts of the pool price for the coming years. 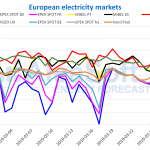 And this is another clear incentive for large energy consumers right now to sign a PPA: get very advantageous prices against the forecasts of electricity price. This gives them a competitive advantage over direct market consumers. Lately, in some of the forums and meetings which AleaSoft attended, there has been some concern about whether a PPA is the best way to obtain financing for a new renewable project. The concern seems to come from the apparent difficulty of matching the production curve of, for example, a photovoltaic plant with the consumer demand curve. Regarding these differences between the production and consumption curves, it must be remembered that a financial PPA is only a financial contract and that it can be base load without an hourly profile. The sale and acquisition of energy will be made directly in the market in the same way as if the PPA did not exist. The terms to be taken into account in the signing of the contract are similar to any contract for the sale of electricity, being very important to define the start date and the duration, the volume and the load profile, the guarantees and, obviously, the price. The negotiation of the price is a key aspect in the negotiation of a PPA, although normally it is not the most controversial aspect or the most difficult to agree. To determine a reasonable price for both the buyer and the seller, both need to have a clear vision of the long-term electricity market and the risk they are willing to assume. In AleaSoft, a strategy group is being created to advise our clients on possible alternatives in the purchase and sale of electricity in the medium and long term. PPAs make it easier for developers and investors in a renewable park to guarantee a share of future sales with a consumer that, in turn, guarantees a stable price without the long-term market volatility and a clean energy supply.